So I get and support the desire to be knowledgeable concerning the use of any federal or state funds to train and place under-represented populations. 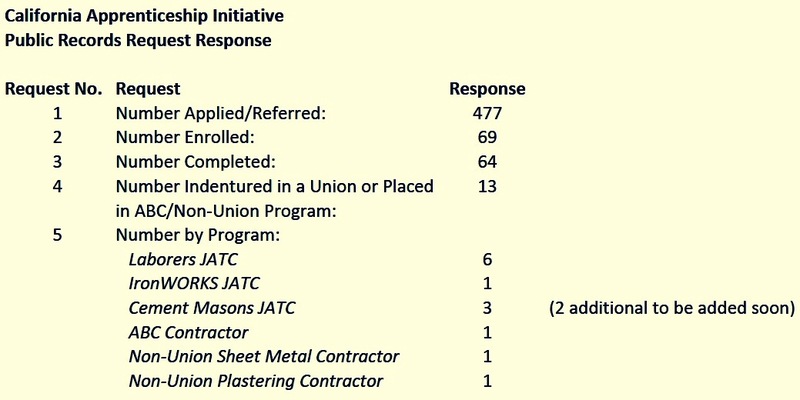 I am however at a loss to understand how a pre-apprenticeship program can be a union only program. In such programs, there is no union membership or attachment and the pre-apprenticeship participants can go on to apply to and join the trade/occupation that they are interested in, union or not. Can someone explain how this is identified as a “Union only” pre-apprenticeship, or is this just an oversight by the author? A new campaign could instill more public realism about the potential of the research being funded. “If they ask for money, it would be really important that they level with the people of California and educate them about how science really works,” Darnovsky said. These are pathetic numbers. I had prepared a “jobs created” report about 2 years ago and it was equally pathetic. The CHSRA has greatly exaggerated the jobs this project would create and almost worse than that, if the at-the-time $68 billion were repurposed for necessary infrastructure projects, we could do the following (including material and labor): repair 110,172 miles of highways/roads or repair 64,732 bridges or build 68 desalination plants or build 883 elementary schools or 7,385 parks or 184 water purification plants (1.8 trillion gallons per year) or a combination of the above. 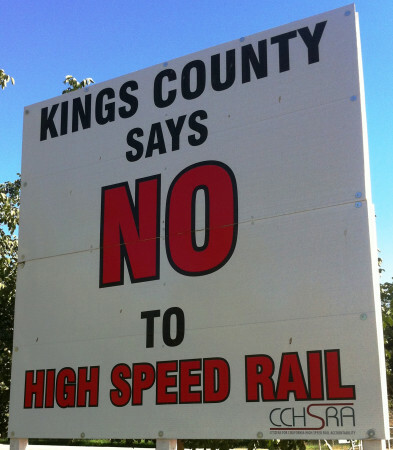 The true number of jobs that CHSRA would create for the entire project is around 53,250 at a cost of $1.3 million per job. Compare that to creating 112,262 bridge repair/maintenance jobs at $65k each. The CHSRA uses “job years” which means that if according to them, they created 25 jobs, in reality it could be 1 job for 25 years, or 25 jobs for 1 year, or 5 jobs for 5 years, etc. The bottomline is that they are con artists (and I’m being polite). This is a joke perpetuated on the typical liberal Californians that are blinded by our idiotic politicians. How can I help or get involved with shutting this fiasco down?